Welcome to my lovely seaside studio suite, it features secure parking, kitchenette with all the fixings, walk in shower, cable TV, internet, gas fireplace , a very comfortable bed, large patio with nice garden, mountain, marina and ocean views. Miraloma on the Cove offers, very comfortable common areas, secure underground parking, free laundry, a fitness centre, and sauna. 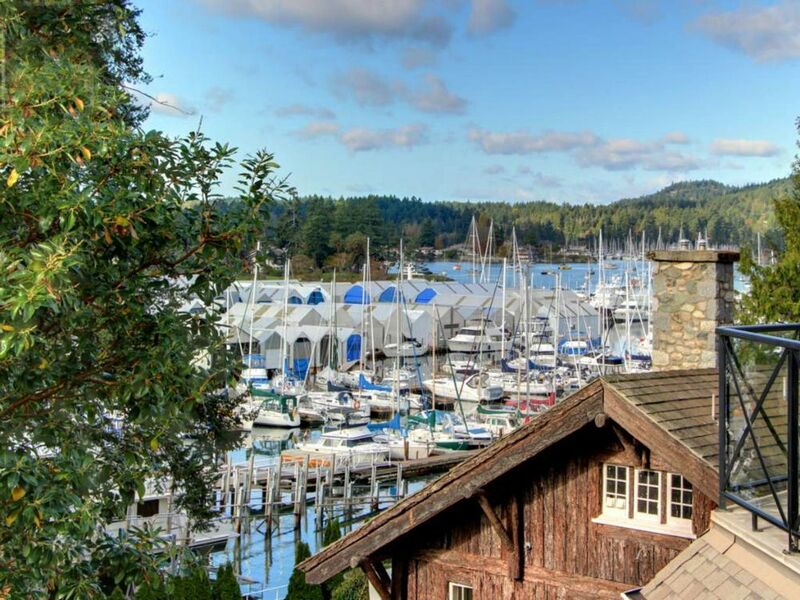 The beautiful suite is within walking distance to Van Isle Marina, local beaches, parks, convenience store, restaurants like the Sea Glass Waterfront Grill and to public transit. Our house rules: not suitable for infants under 2, not suitable for children aged 2 - 12, primary renter must be 25 or older, no smoking, no parties or events, no pets. Thanks, Miles for a priceless holiday. For 3 weeks we lived in luxury. You catered to our every need. The unit and its balcony were perfect for us. Thank you! The unit was clean and quiet and well stocked with supplies. View of Marina and close to 2 great restaurants. Owner Miles greeted us upon arrival and showed us around the property. A great retreat. We enjoyed our little retreat a Miraloma and would return in a blink. It was nice to have the fridge and cupboards stocked with some supplies which made it feel very much like home. Miles was there to greet us upon arrival and show us around the property as well as make some suggestions for restaurants. Amazing, quiet location, walk around beautiful grounds, residential areas, marina; Resthaven store is a few blocks away and the Latch restaurant next door was open from 8:30 to 2:30. Sea Glass on the marina was not open the AM we wanted breakfast, although the sign posting hours said it was open! Some air traffic noise if you are out on the deck, also on weekdays the nearby marina was noisy if you were outside. Amazing view ftom the deck- just as in the pictures, note that the deck is southwest facing so it is quite sunny and warm mid-afternoon. A good portable ac unit kept the suite cool and the heat worked. Minor issues with the toilet running, the iron leaked water and kitchen gargage can too small. Main concern was the smallish double bed; we are used to a kingsized mattress. The mattress itself is hard and springy, not supportive. My hips were complaining after the first night! Owner was responsive to our texts and promised that a new bed is in the plan. If so, I would stay at Miralima again for sure. Nice room, very quiet location, great place for walks. Sidney has many good restaurants. Miles was very accommodating. our host Miles, was very helpful and the place met all our expectations, the view and the balcony is overlooking the Marina and a beautiful view of sunset every night. The building is well maintained with a laundry and small gym.